As I was talking about Adsense and Adsense Guide, readers asked a very common question that is can they use Google Adsense and Infolinks together? Is using infolinks with Google Adsense can put Adsense account in danger? Remember Adsense is very strict about its policies and guidelines. You can read Adsense policies here. Good news for those who don`t know it already is that Adsense allow you to use any other 3rd party ad network with Adsense till the time other ad networks dosen`t display ads in same format that mimics with original Adsense ads or create confusion between Google Adsense ads and 3rd party ads. Now let`s answer the question we about to discuss. 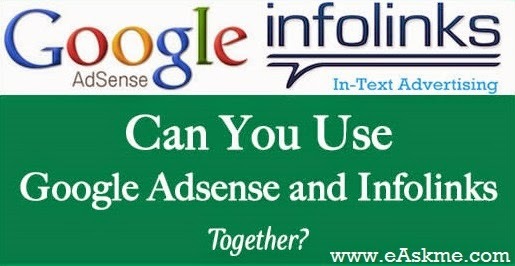 Is it safe use Google Adsense and Infolinks together? Infolinks is a in-text ad-network that offer various types of ads and ad formats. I also used them and they work great together. Officially there is no issues using infolinks and Google Adsense together. Infolinks also a contextual ad network that display relevant ads according to the content, but they do not violate any Adsense guidelines. 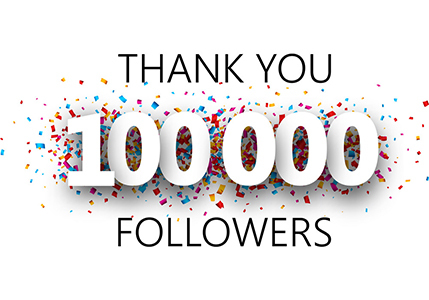 Infolinks is fully Adsense compatible. You can see it here. Also infolinks do not take extra space for showing ads. It just take you content words and show relevant ads. You can safely and easily use Infolinks ads with Adsense ads. You can also use other in-text ad networks like Viglink, Skimlinks etc. Just make sure that on Infolinks ads mouse create a popup, that should not cover Adsense ads. You cna do one thing that is place <!-INFOLINKS_ON-> at the start and <!-INFOLINKS_OFF-> at then end of the article. See this : How to Increase Google Adsense Earning.